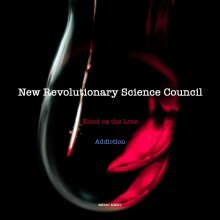 New Revolutionary Science Council are from London. Their first release is to be a double A side single issued on 7″ vinyl. Blood on the Lens is an evocative title and could be interpreted in many different ways. The group wanted an image which was attention-grabbing and beautiful, but uncomfortable to look at. 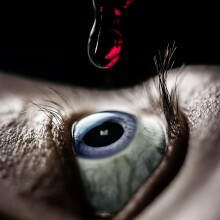 We had the idea of blood being dropped into somebody’s eye. I wanted the eye to be blue, simply because the red blood would look good against a blue eye, and also so that the resulting image would contain red, white and blue. 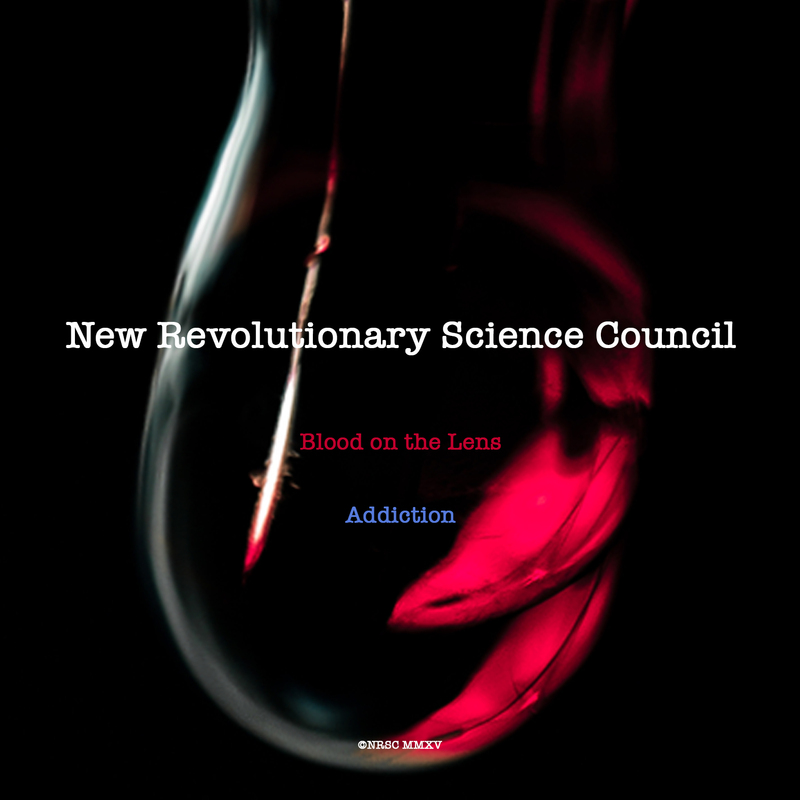 One of the band members had blue eyes, so they were chosen to be the subject/victim of the shoot, while another band member carefully held a pipette of artificial blood over the eye. Photographer Edward Lancaster used a macro lens to get very close to the subject while focusing with an extremely narrow depth of field, and after several attempts and a few clean-ups, we had the shot. 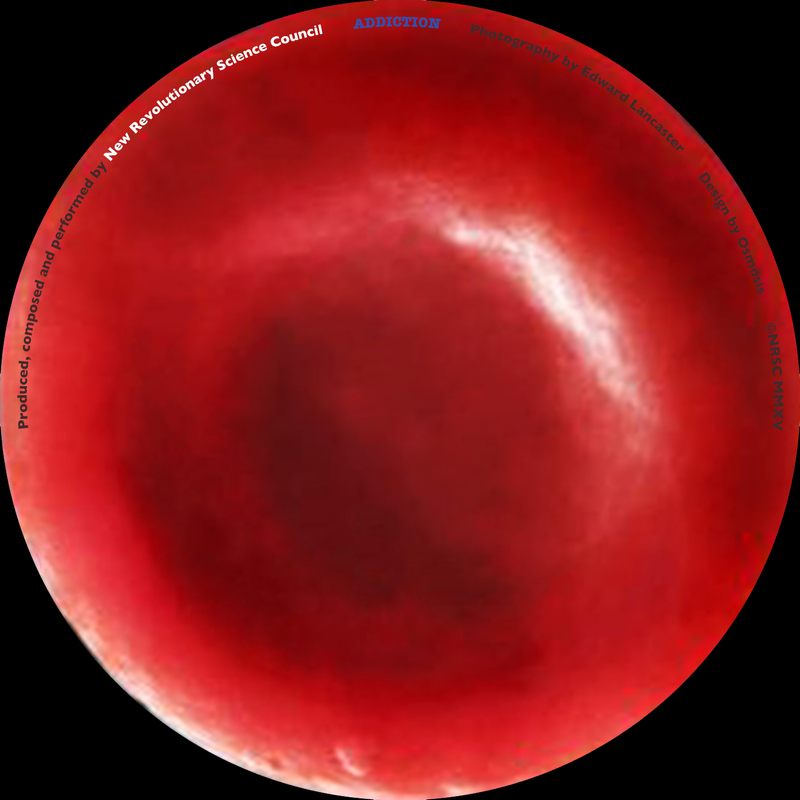 The other song Addiction seemed to lend itself to the image of blood, so for the back sleeve we chose to focus in on the drop of blood we had used on the front. 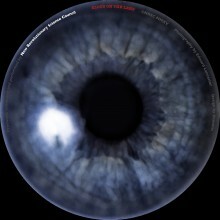 The label in the centre of the record being circular meant that we were able to turn one side into the blue iris and pupil of the eye, and the other side into a single red blood corpuscle. When placed onto a turntable, each image would be effectively pierced by the rod in the centre. In keeping with the red, white and blue colour theme, the title Blood on the Lens is written in red and the title Addiction in blue, while the band name appears in white.